I found this gorgeous bed on craigslist, and I just had to have it. I have wanted a bed like this my entire life. I love the curves and the details and the applique and the history of it. 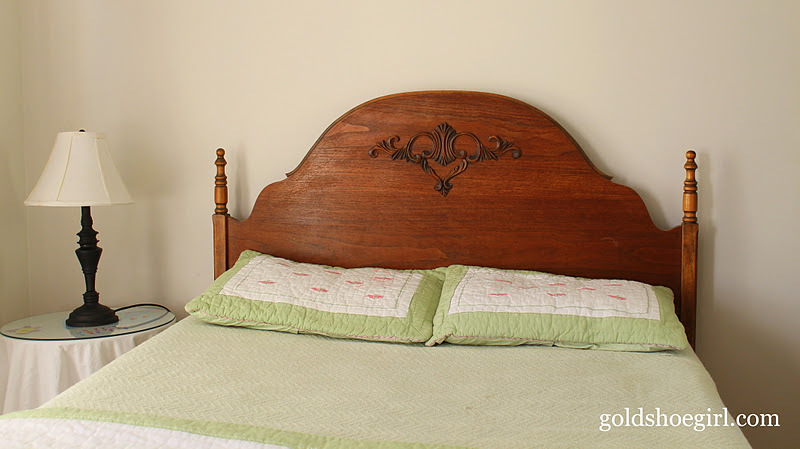 It's an antique in great shape, but of course, like most antique beds it's only full sized. Boo hoo. So I still bought it because the price was right, but now it resides in my daughter's room. I am sooooo jealous. The first night it was set up I actually thought about sleeping on it myself and sending my daughter to sleep with my husband but then I thought that might set a bad precedent with her and so I nixed it. But some night when she is at a sleepover I am going to sleep in that bed and just take in all its loveliness. I have been stalking the craigslist everyday looking for the perfect bed for our master bedroom and what I like just doesn't come in queen size. Antique beds are typically full sized - apparently everything was smaller back in the day - and you have to get really lucky to come across one that is queen or else you have to pay big money to have a full sized one converted. If you decide to get an antique bed be aware that there are usually a few hassles to making it work. First, I had to add a steel bed frame inside of the wooden frame. The old side rails were just not gonna do the job of holding the mattress and the box springs. Then the bed frame I bought did not bring the mattress up to the right height so I had to get a set of those plastic bed risers to put under each leg of the bed frame. Now that all that is accomplished the bed is looking really pretty in my daughter's room. I had considered painting it white but I couldn't bring myself to do it. Yet. She wants to paint her room a lilac so a white bed would look really great against the lilac. For now it will stay the original golden wood color. Here's a picture of the foot board. 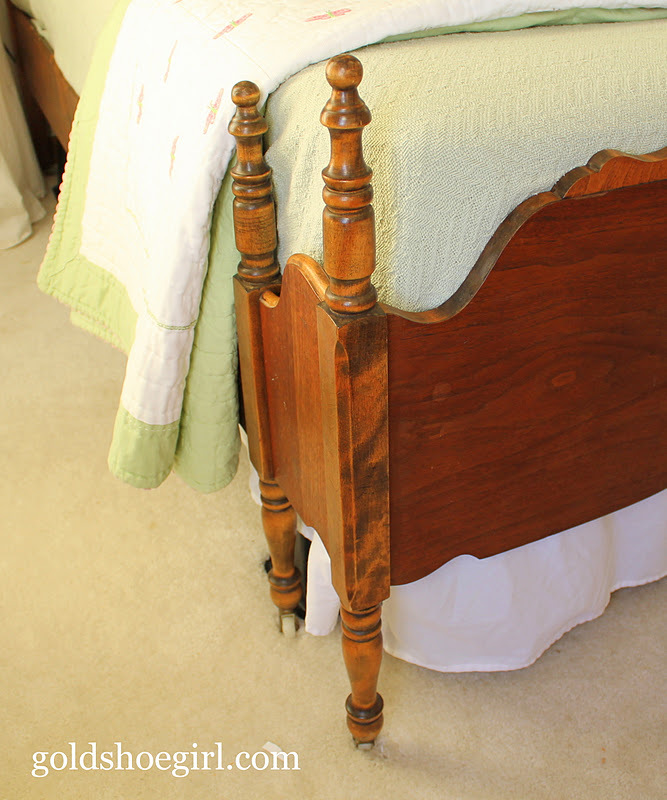 I love how it goes around the corner of the bed and has the spindles. It makes making the bed a little challenging which is why I have her quilt folded that way. I forgot to mention it has all its original castor wheels too. 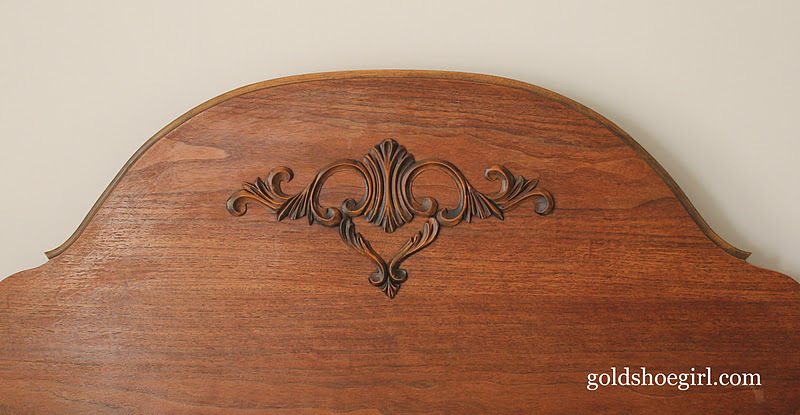 The thing about antique beds is all the details. 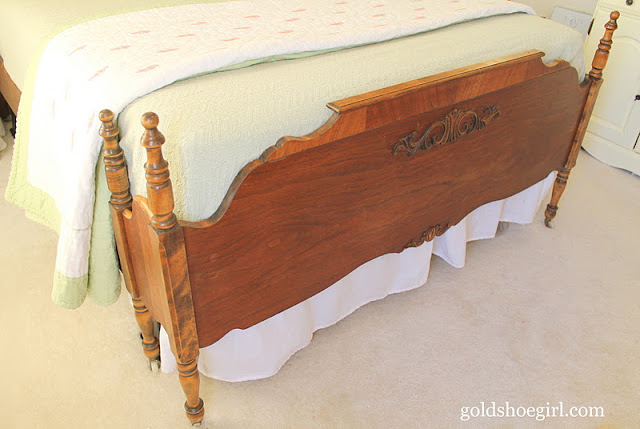 Even the foot board has 2 appliques plus the curves and that extra piece of moulding across the top. You just can't find those things on any bed at a furniture store - unless I suppose you have the big dollars which I do not. Here's a closeup of the applique that is on the headboard. It is just so sweet. I would have taken more pictures but what you can't see is the mess that is behind the camera and I. I swear my daughter is going to be a hoarder. She must have a hundred baby dolls and yet every time we go to the store she is begging for another one. Then everything she owns ends up in her room on the floor. It took me an hour just to get this part of the room clean enough for pictures. Anyways, I wanted to show you all another great reason to use craigslist. If you need some tips check out my buying from craigslist post. Has anyone else gotten any good deals lately? Your antique bed was a real find on Craigslist. And you are sure right. They don't make beautiful furniture like this now. If they do, it's waaaay out of my range. Your daughter is a lucky gal to get to sleep in such a gorgeous bed! That is an awesome find. Your daughter is so lucky to have something so special. Thanks for sharing at DIYbyDesign. It wouldn't work for this bed because of the curve of the footboard, but there are bedrails that you can get that will allow you to use a queen mattress set with a full head and footboard. You couldn't do it with this set because the mattress wouldn't fit in the curved part, but it does work well if you don't have a curved headboard or footboard. Good luck in your search for a bed for the master bedroom. I love it! I am looking on Craigslist for my special bed too. I love to read this blog and Bedroom's color give the simple and calm look. 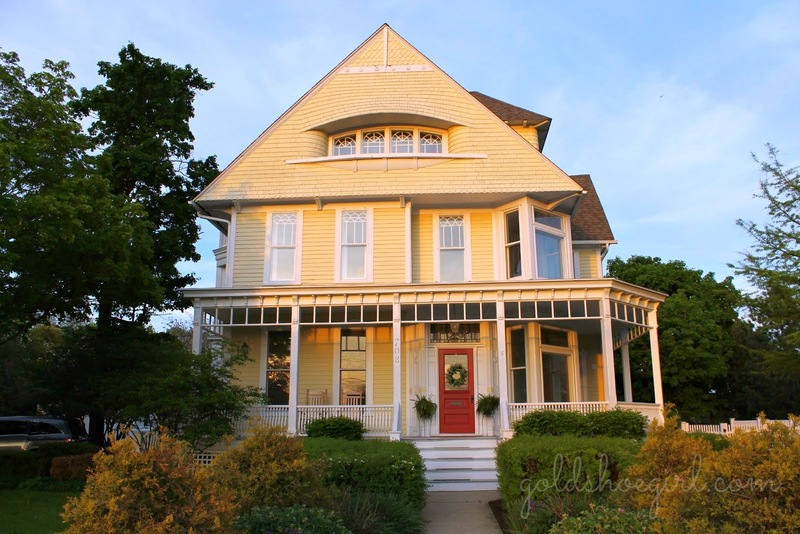 It is so classic and gorgeous. I am thinking to purchase this type of bed. Thanks to share this blog.